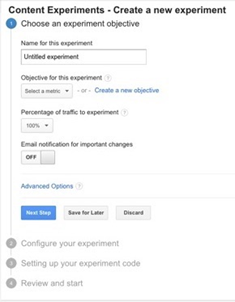 A/B Split Test is a tool for increasing confidence in the decisions you make about your website or your landbots. It allows you to scientifically test and validate hypotheses around your goals. 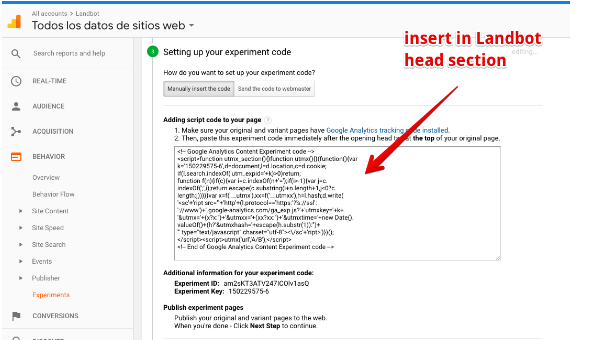 Google Analytics' "Experiments" tool makes it simple to setup A/B Split Tests on any website using Google Analytics (GA). 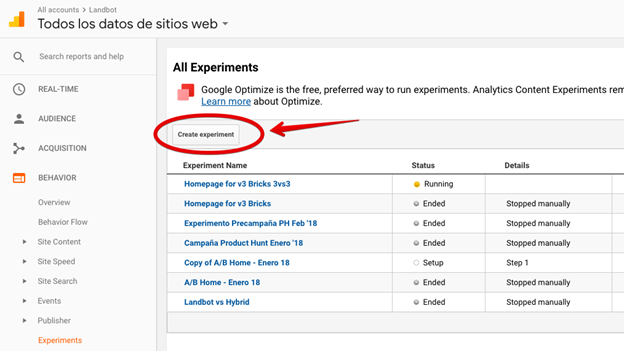 Setting up Experiments in Google Analytics only takes a few seconds. 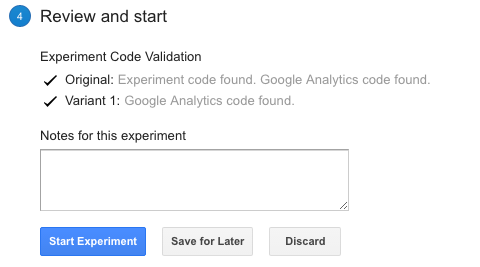 First of all, log into your Google Analytics account and select Behavior > Experiments. In Objective you can set an identifiable outcome to track results against and determine a #winning variation. The selection depends completely on why you’re running this test in the first place. At this stage you should have your webpages/landbots ready for the experiment. 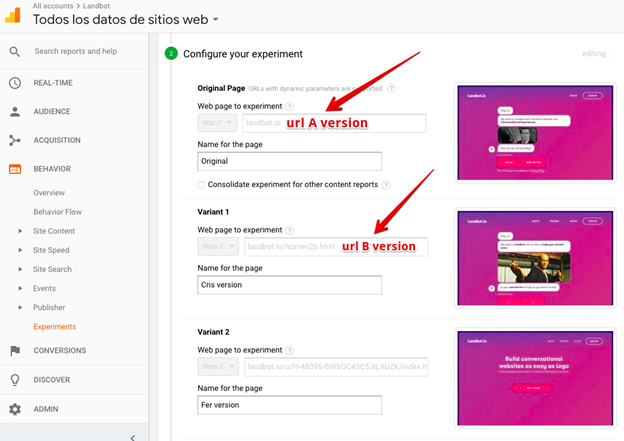 In order to configure your experiment you’ll need to indicate which is your original Webpage/Landbot and the variant/s you want to test. Once you have your url’s and variant names, click on Next step. Important! You will only add this code into your original webpage/landbot, not in the variant landbots. 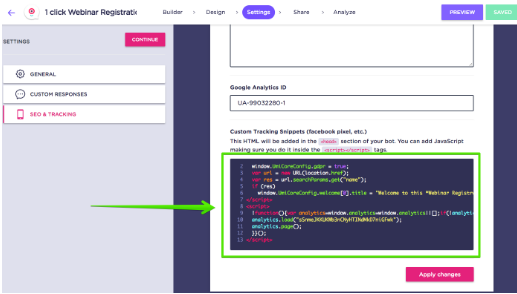 Once done this, click Next Step back in Google Analytics to have them verify if everything is fine. And now you’re ready to go!